Marc and Michael met for the first time at the Northwest Festival in 1997. Marc was the headlining artist and served on the jury of the competition that Michael was lucky enough to win that year. They became fast friends, their paths crossing a number of times over the following few years, and they enjoyed playing reading duets together when the opportunity arose. They performed together for an audience for the first time at GuitarFestWest in Calgary, and enjoyed it so much they decided to make it a regular occurrence. 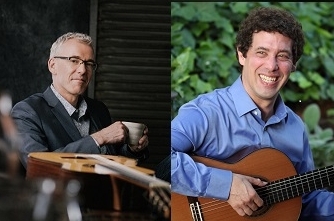 In 2015 they gave a series of concerts in Spain for CaminoArtes, performing in 10th century churches along the Camino de Santiago, and played throughout the Pacific Northwest on two tours in 2016. 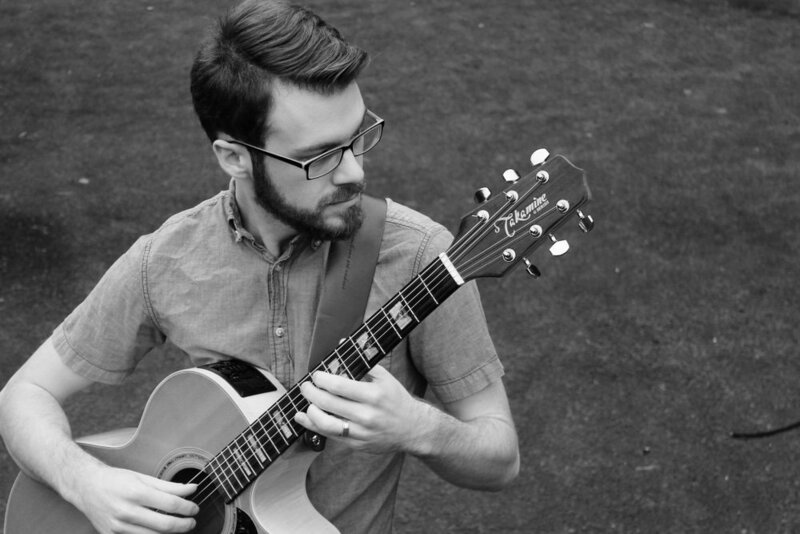 Jacob Seyer is a classical and finger-style guitarist currently residing in Vancouver, British Columbia. With an eclectic musical background, an extensive education, and a fervent motivation for creative development, Jacob consistently performs and educates with unique energy, offering new ideas to the craft of music making. In May of 2017, Jacob completed his Master of Music Degree in Guitar Performance at the University of British Columbia under Daniel Bolshoy. Since then, he has integrated quickly into the Vancouver music scene, where he works full time as a performer, instructor and composer, assists in program development for the Vancouver Classic Guitar Society, and has been recently appointed the Director of Public Relations for the Canada International Arts and Music Society. Currently, Jacob is in the process of completing his first full-length album of original finger-style music entitled "Migration" set to release in the summer of 2018.